The most commonly performed tooth restorations are dental fillings. Most often, your dentist will recommend a filling when decay is affecting the health of one of your teeth. When bacteria in your mouth weaken your tooth enamel, they can continue to cause damage to the tooth, resulting in a cavity. Dentists remove the decayed area and seal the space with a dental filling. Fillings can be made from a variety of materials. The ones most commonly used are mercury amalgam and composite resin. No matter the type, these dental restorations serve the purpose of supporting a tooth and helping to protect it from further decay. Fillings occupy the area of missing tooth structure so the tooth can continue to function normally. 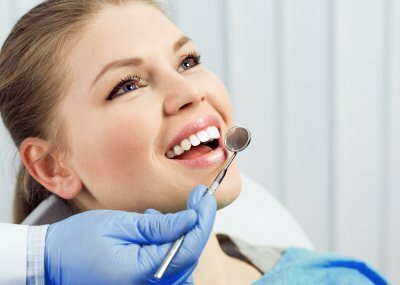 For high-quality treatment and access to a broad range of cutting-edge dental procedures from dentists in NYC, call Park 56 Dental today at (646) 783-3529. Our dentists specialize in several types of restorations that can improve the appearance and health of your smile. To begin your hunt for a new dentist, speak with your dental insurance company to find offices covered in your area. Next, narrow your search to find dentists within a reasonable driving distance. If you select an office that’s located far from your home, you may be less inclined to visit as often as you should. Additionally, you’ll want to be located near your dentist in the case of an emergency. Speak to friends and neighbors. If you live near family, ask them for dentist recommendations. Learning the name of a good dentist from someone you trust can make the selection process easier and less stressful. If no family live nearby, consult your neighbors. 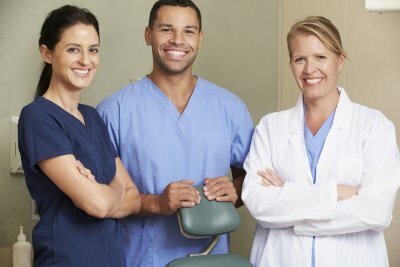 Learning which dentists are popular in your area can give you a great starting point. Online reviews are another excellent way of finding a dentist that has plenty of happy patients. Talk to your other health providers. If you already have a trusted primary care doctor, ask her if she has any references for nearby dentists. Similarly, if you’ve only moved a short distance, consider speaking with your current dentist about anyone he would recommend that’s closer to your new residence. Knowing which procedures a dentist office offers is essential for making a smart decision. If there are particular treatments that you’re interested in, visit the office’s website or give them a call to learn about their services. Also, if you have young kids, ensure that the dentist treats children as well. At Park 56 Dental, our team of dentists specializes in a wide range of procedures for cosmetic, restorative, and general dentistry near NYC. To learn more about Invisalign or veneers or to schedule your appointment, call us today at (646) 783-3529.